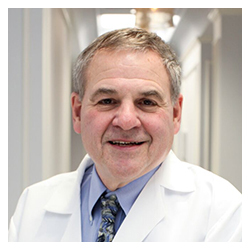 Dr. Warshauer has been practicing dentistry in Boston’s Back Bay for over 40 years. A graduate of the University of Wisconsin (Undergraduate) and Tufts University School of Dental Medicine (Graduate), Dr. Warshauer strives to bring his patients an unmatched dental experience, from start to finish. For Dr. Warshauer, dental practice is not an endless stream of names on charts. He prides himself on creating a meaningful relationship with each patient, allowing him to provide optimal dental care for that individual. It is Dr. Warshauer’s goal that every patient achieves optimum esthetics in dental health. Dr. Warshauer regularly participates in continuing education courses centered on cosmetic dentistry. This includes courses in veneers, crowns, bridges and implants. He is also certified in Invisalign orthodontics, which allow his patients the comfort of changing the position of their teeth and improving their smiles without the hassle of braces. In recognition of his outstanding practice and service, Dr. Warshauer has been recognized as Best Dentist in the “Best of Boston” issue of Boston Magazine. In his free time, Dr. Warshauer enjoys traveling, skiing, and spending relaxing summers in Maine.